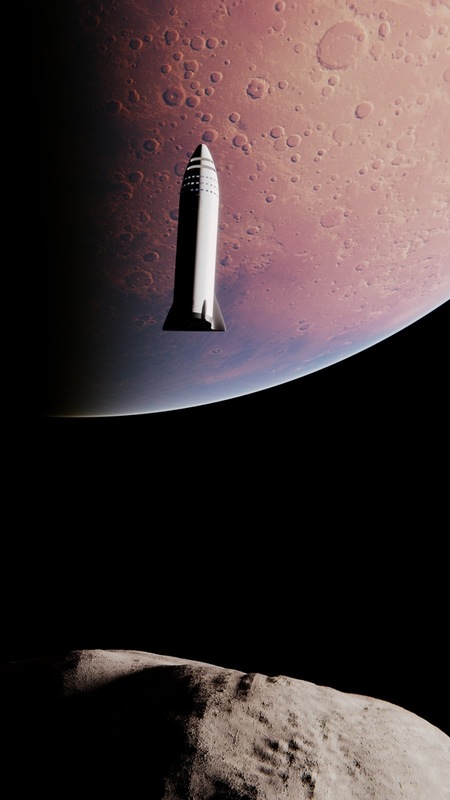 Picture of the Day 27/9/2018 - the 2nd stage of SpaceX's Big Falcon Rocket (BFR) - the Big Falcon Ship/Spaceship (BFS) v2018 docked to NASA's future Lunar Orbital Platform-Gateway by digital artist Mack Crawford (brickmack). 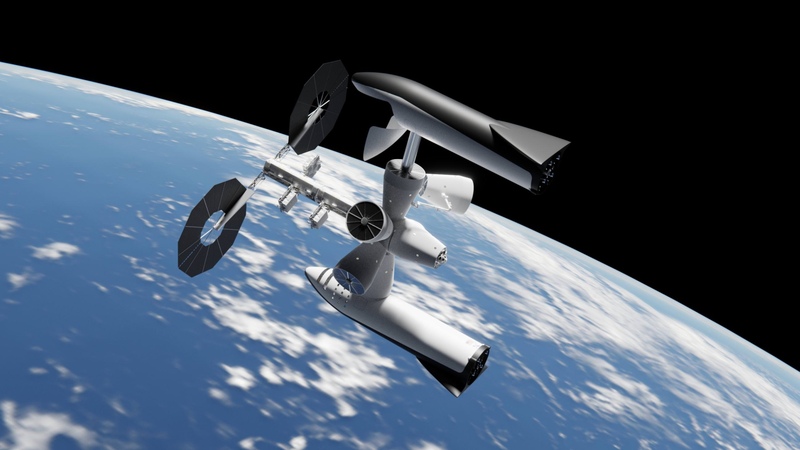 More of his space concept art here. 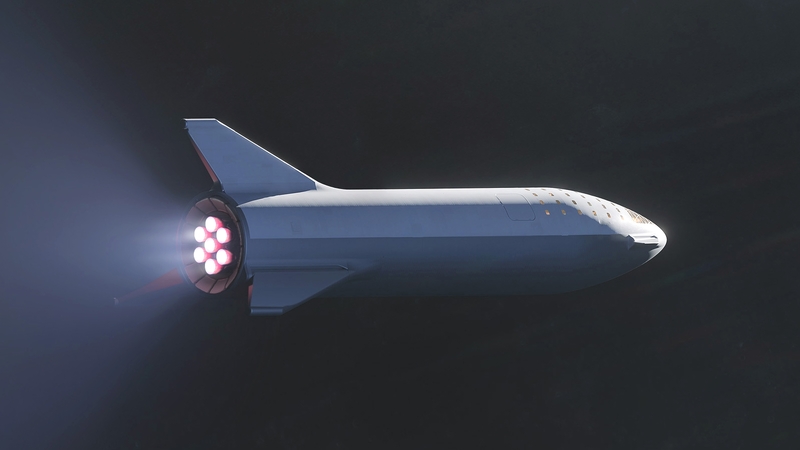 Picture of the Day 24/9/2018 - the 2nd stage of SpaceX's Big Falcon Rocket (BFR) - the Big Falcon Ship/Spaceship (BFS) v2018 above Earth by photographer and concept artist James Vaughan. 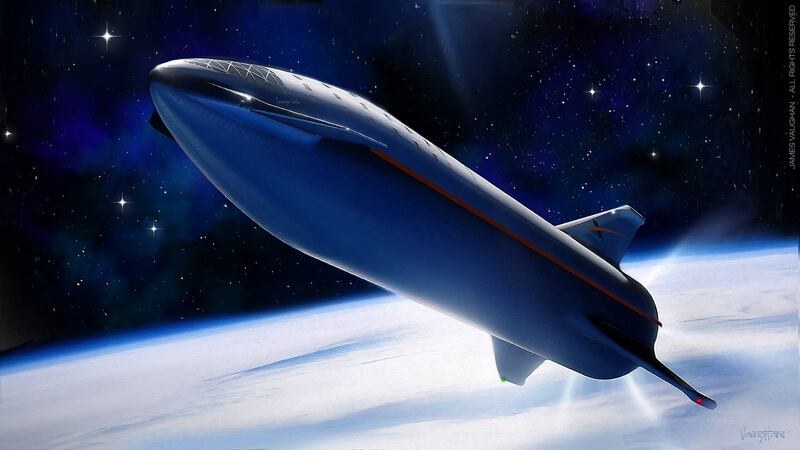 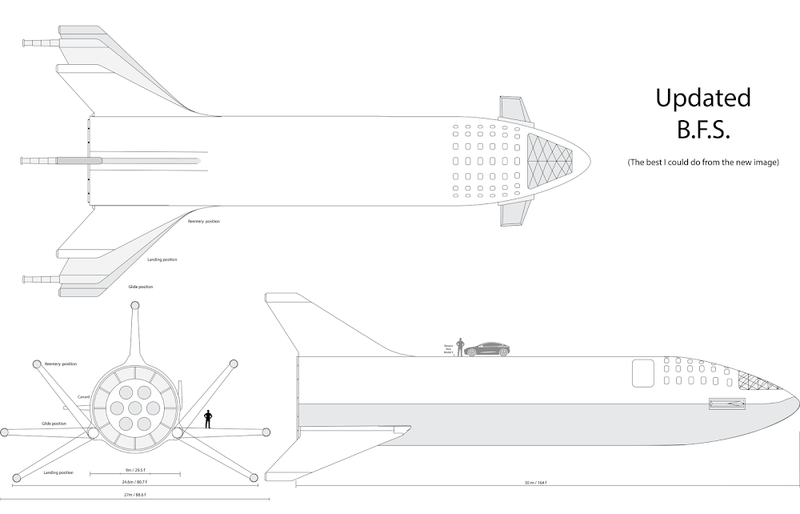 More of his aerospace and defense concept art here. 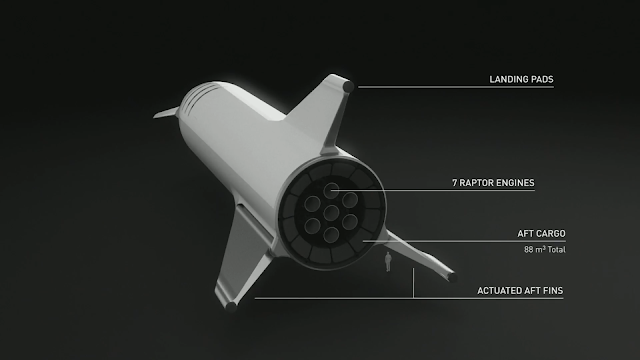 SpaceX has posted the animation files from Elon Musk's presentation of the updated Big Falcon Rocket on their site. 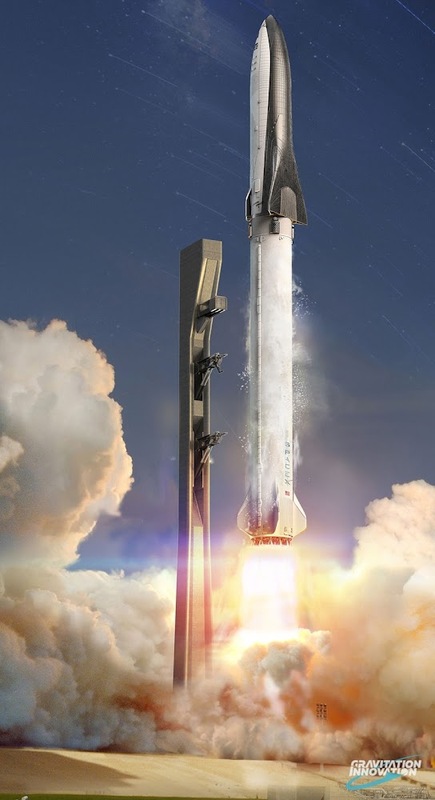 Picture of the Day 19/9/2018 - SpaceX Big Falcon Rocket (BFR) v2018 launch by Reddit user DragonRider52. 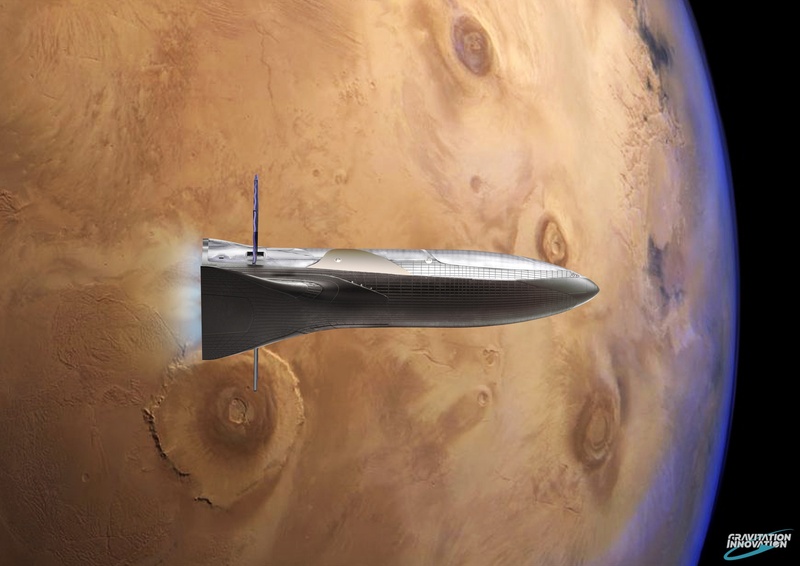 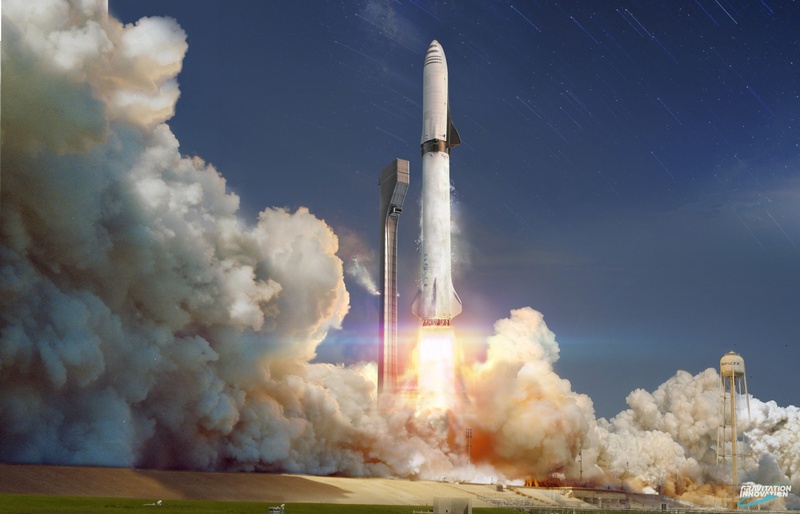 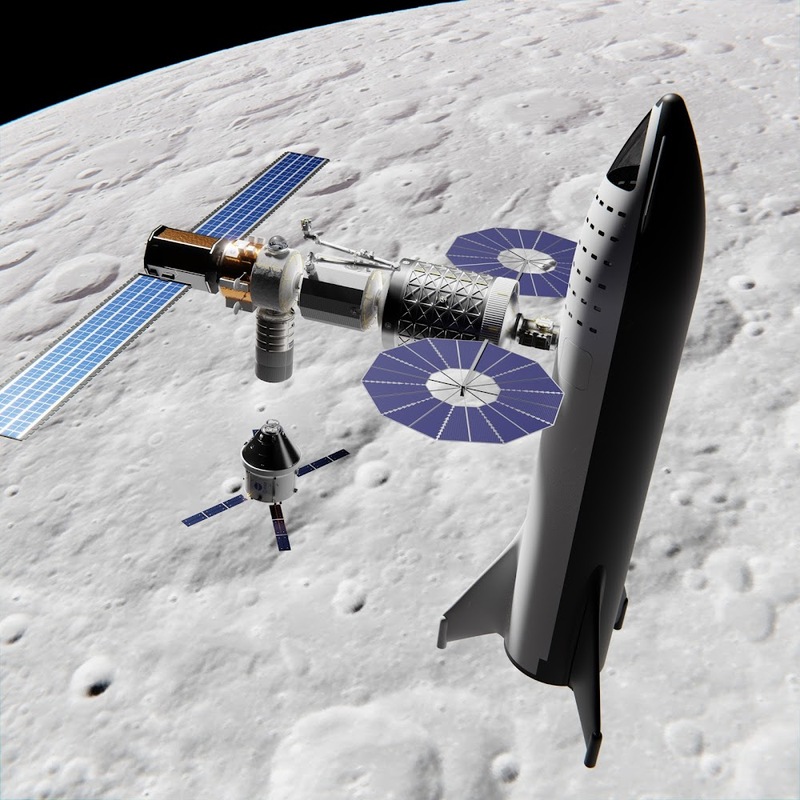 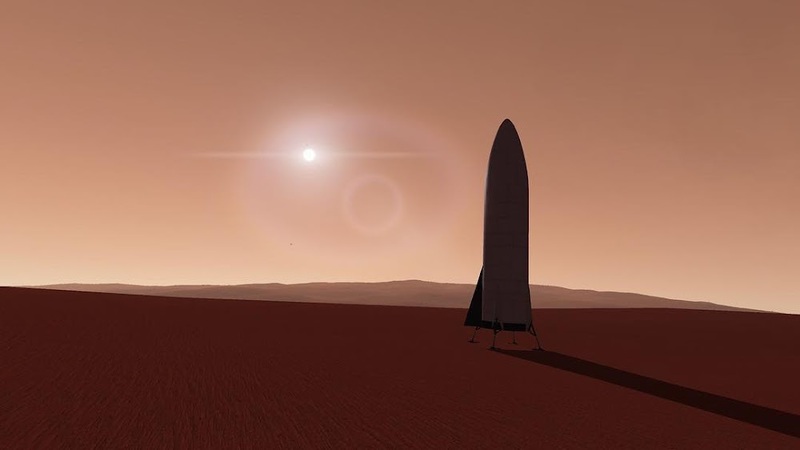 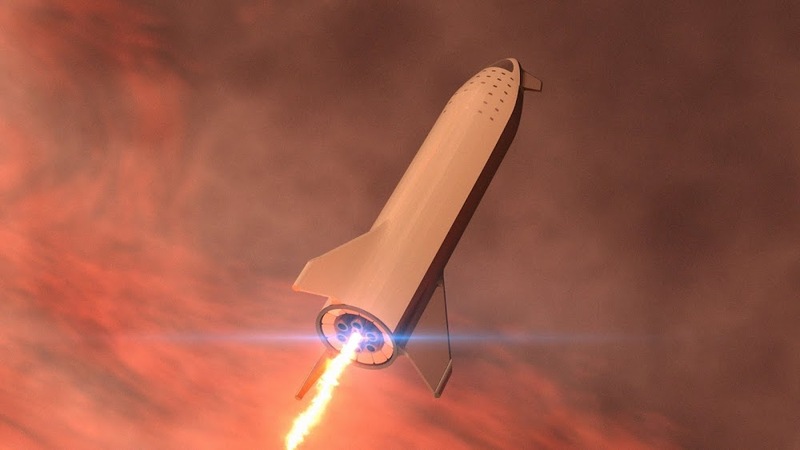 Today SpaceX CEO and lead designer Elon Musk provided an update of SpaceX Big Falcon Rocket (BFR) design and announced the first BFR Lunar mission, orbiting the Moon in 2023. Here are video, schematics and images from his presentation (open link in new tab to view image in full resolution). 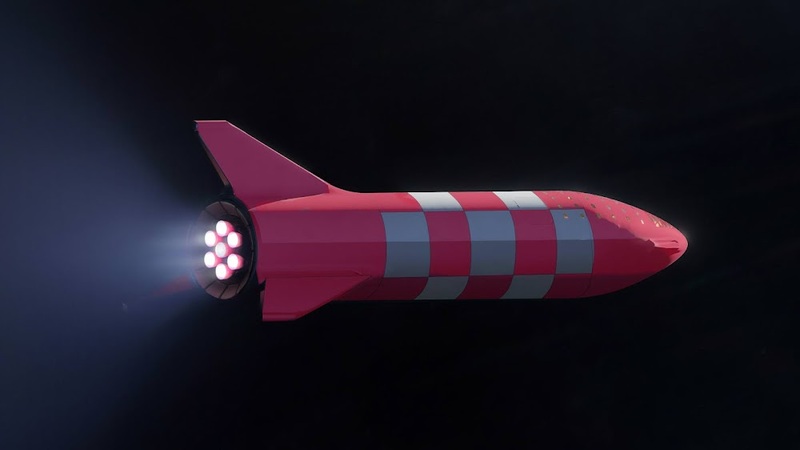 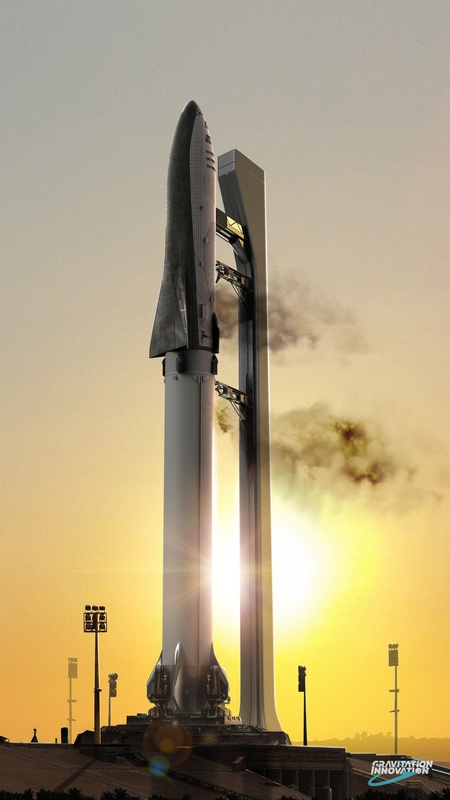 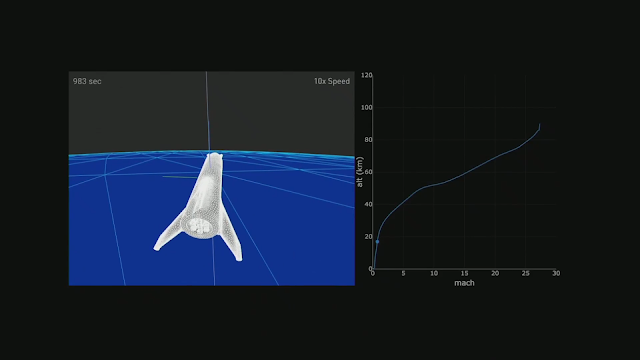 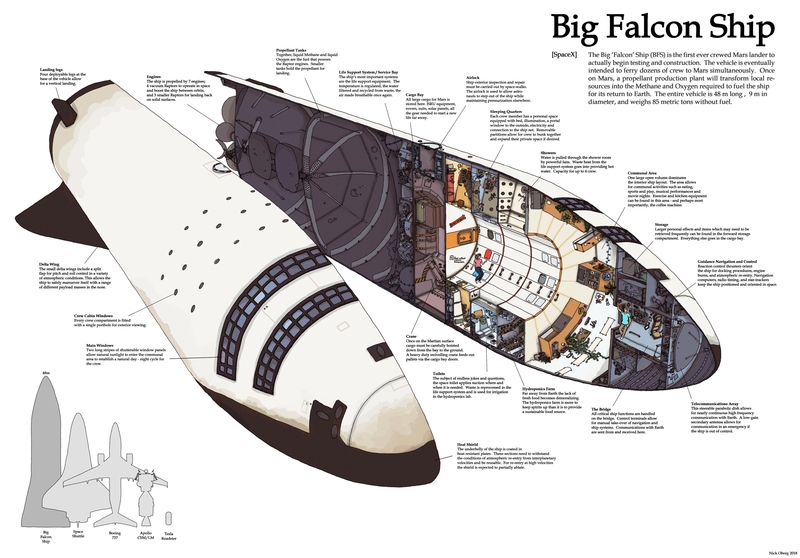 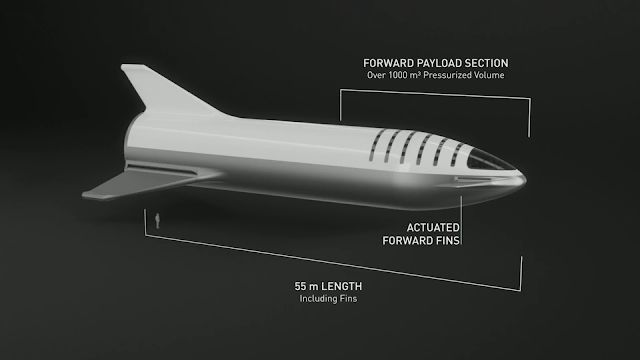 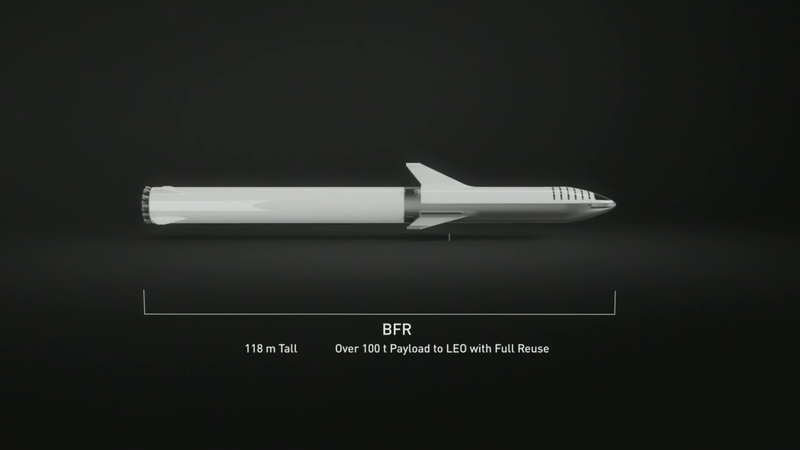 Animations of the Big Falcon Rocket from presentation HERE. 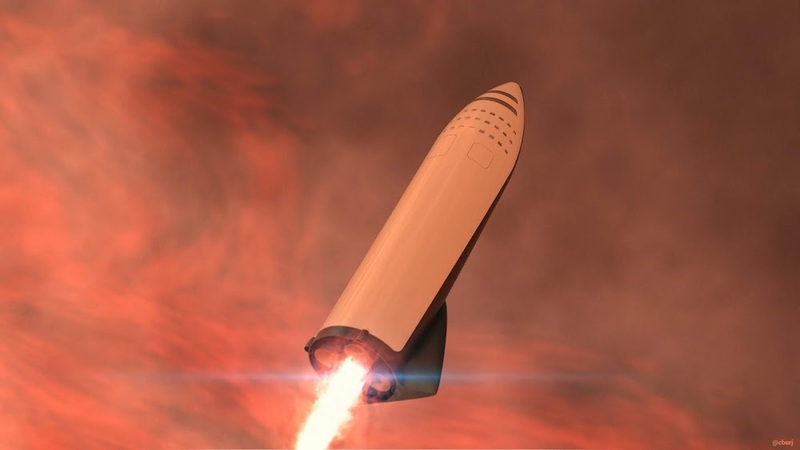 The 2nd stage of SpaceX's Big Falcon Rocket (BFR) - the Big Falcon Ship (BFS) - passing International Space Station (ISS) - a short clip from longer video by Hazegrayart. 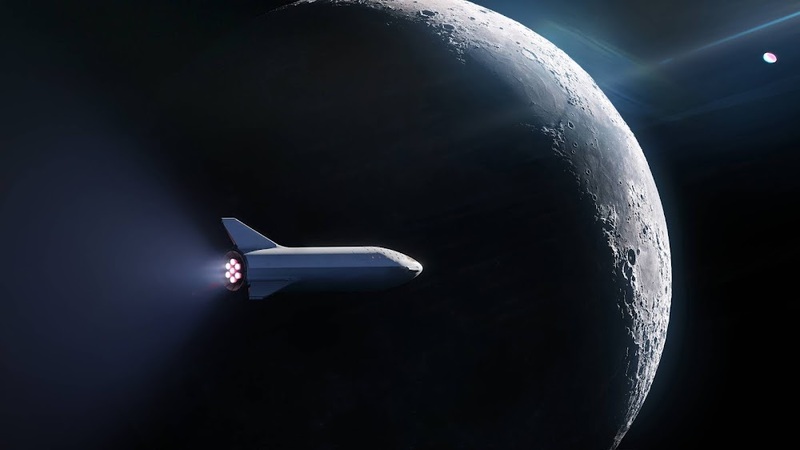 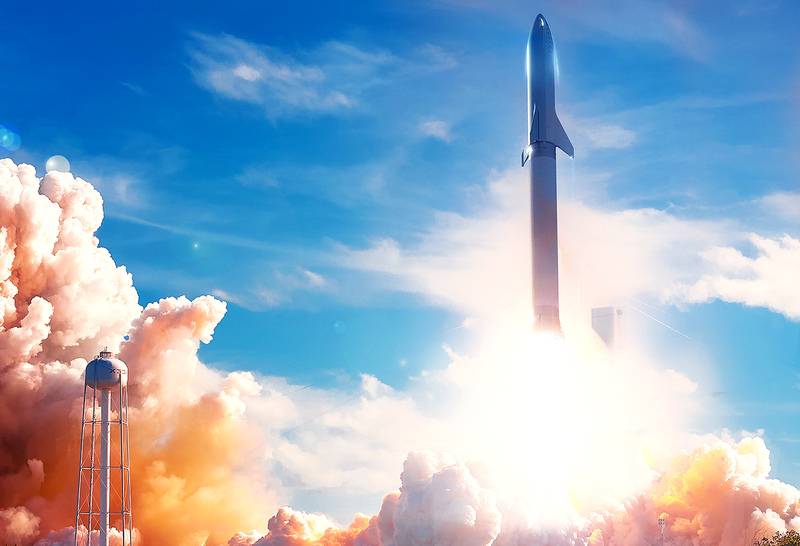 "SpaceX has signed the world’s first private passenger to fly around the Moon aboard our BFR launch vehicle - an important step toward enabling access for everyday people who dream of traveling to space. Only 24 humans have been to the Moon in history. 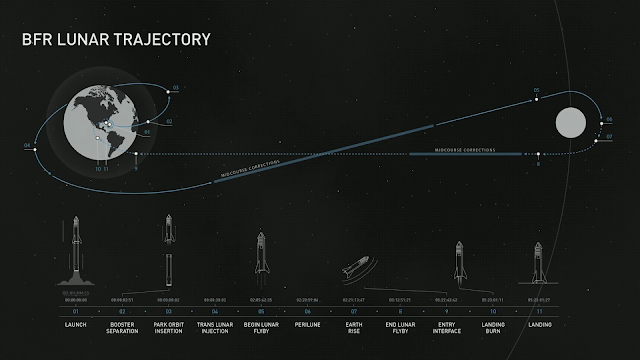 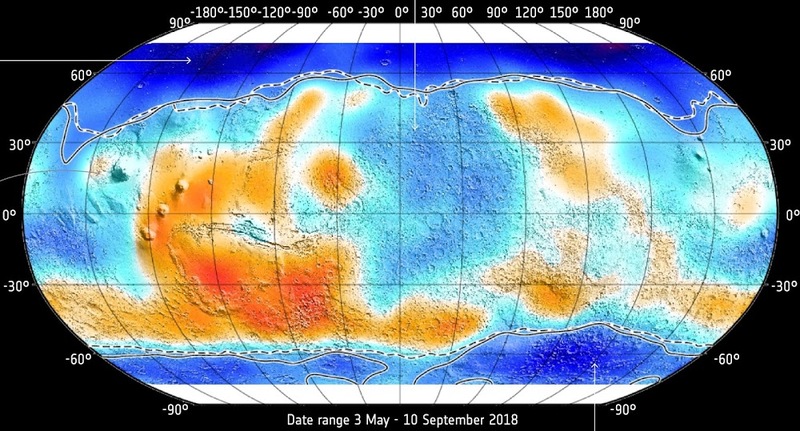 No one has visited since the last Apollo mission in 1972. 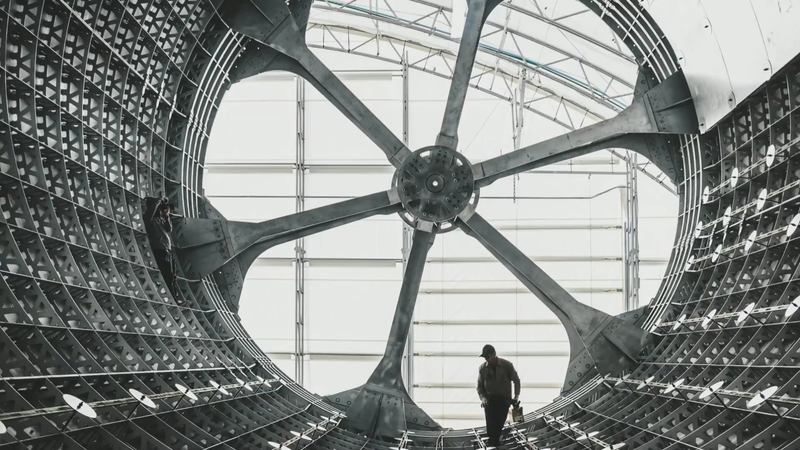 Find out who’s flying and why on Monday, September 17 at 6pm PT." 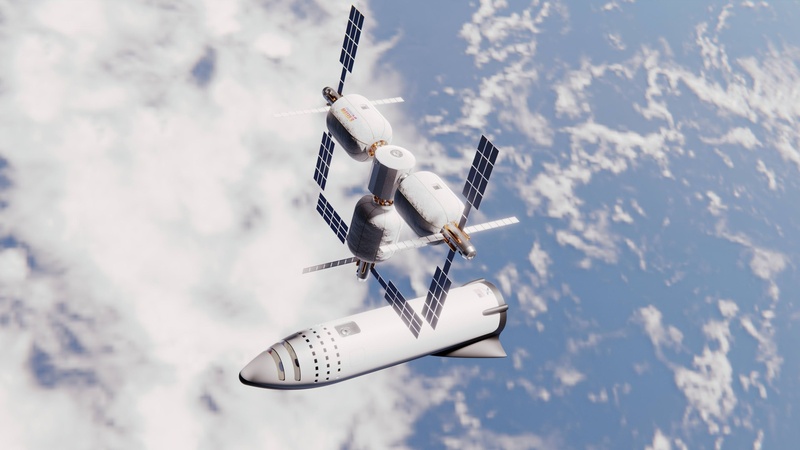 Picture of the Day 30/4/2018 - Building orbital space station with the help of SpaceX Big Falcon Rocket (BFR) spaceships (BFS); fan vision by Reddit user brickmack (Mack Crawford). 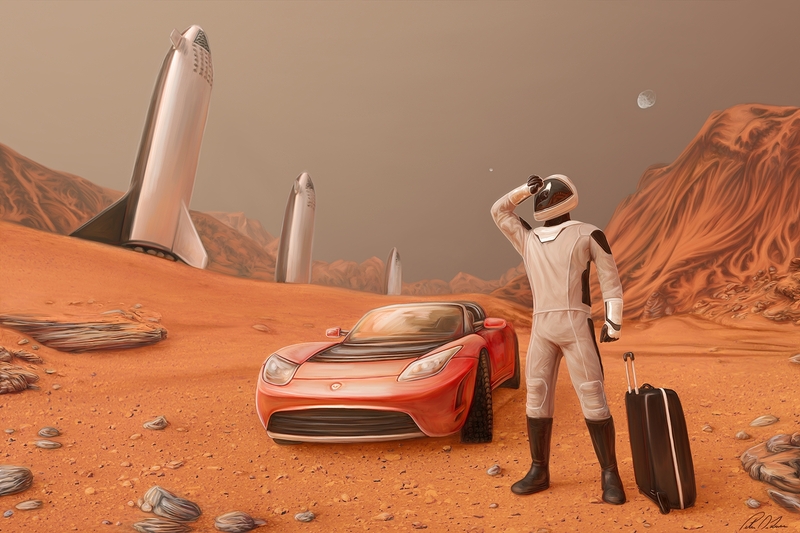 More of his space concept art here.